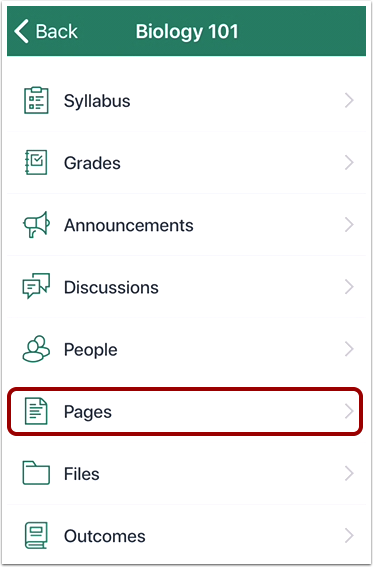 How do I view Pages in the Student app on my iOS device? Canvas lets you access Pages from your mobile device. Note: The Course Navigation menu matches the browser version of your Canvas course. 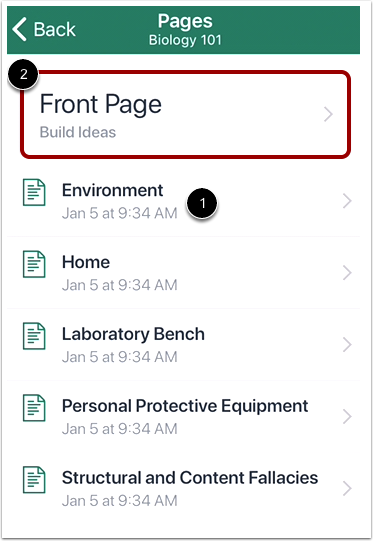 If Pages is not available in Course Navigation, it will also be hidden from view in the app. On the Courses page, tap the name of the course you'd like to view. 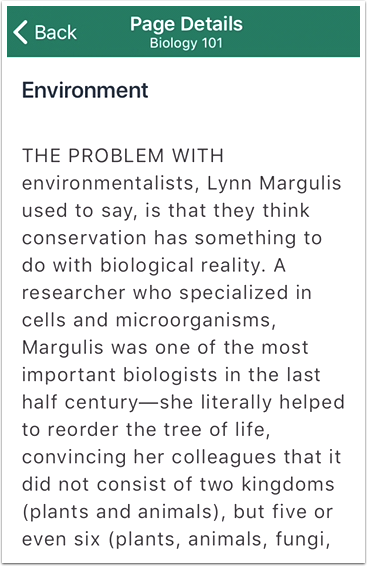 Note: You may have to swipe up on your screen to view the Pages link. To open a page, tap the page name . 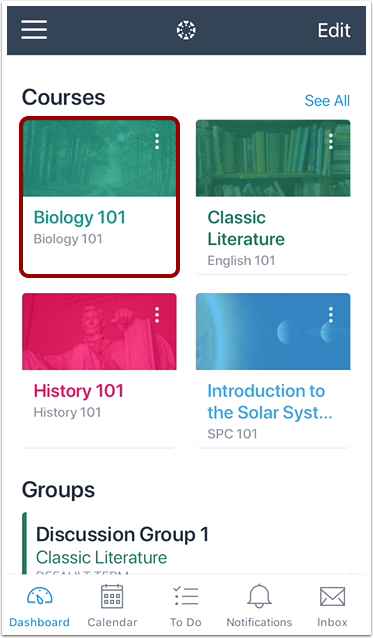 To open the course home page, tap the Front Page button . Previous Topic:How do I view Modules in the Student app on my iOS device? Next Topic:How do I view People in the Student app on my iOS device? 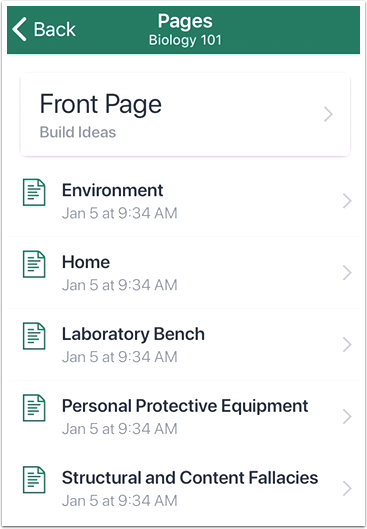 Table of Contents > Course Features > How do I view Pages in the Student app on my iOS device?